By making sure you have AC maintenance Spring TX looking after your AC, your machine is running right. No matter if it is the summer, spring, fall or winter, you need to have your AC serviced. If you don’t, you could end up being the person at their neighbor’s house just to stay cool. Air conditioners are a holy grail during Texas summers. It’s always better to be the person with the AC rather than the one without. If your air conditioner happens to break down, you’re going to need a/c repair in Spring TX. 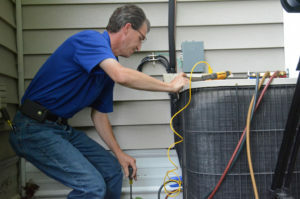 When you’re running an all-season air conditioner, it’s good to service it once a year. You should schedule regular cleanings though. If it’s just a summer machine, you can get it serviced just before you start to use it again. Play nice with your air conditioner so that way your machine cooperates with you through the warm months. Houston Admiral has great services available. They are a leader in Spring TX air conditioning and are available to answer your questions. You can visit their website at https://goadmiral.com, or call them at 281-876-9400. Their certified technicians answer your air conditioning questions. They’ll also work with you to schedule a repair or servicing. What Does AC Repair in Spring TX Do? Whether your AC is new or old, you’ll eventually need air conditioning repair. There are many different problems that can happen to your AC. It’s expected, when you have electronics or technology, they are going to break down. Murphy’s Law says that if it can go wrong, it is going to go wrong. So it’s better to get your AC serviced regularly and have a repair on hand. That way you’re not stuck without an air conditioner during a summer party. Are you interested in an ice cube? When you are getting AC maintenance in Spring TX done, there are some common things to look for. As a general rule of thumb, AC’s mostly operate the same. Looking for common issues can make the repair faster. The sooner you get your air conditioner fixed, the sooner you can get back to enjoying cool air. Electrical Panel: You could have a blown fuse that’s causing your AC not to work. There could also be faulty wiring. Test the Thermostat: Keep your thermostat around 3 degrees below your ideal room temperature. Make sure it is set to cool. Check the Compressor and Wire: If your capacitor has failed, then your AC isn’t going to turn on. Make sure your AC repairman checks the capacitor when servicing your machine. Houston Admiral is available to you all through the year. When you have a broken machine, you can trust their air conditioning experts. You can find out more about the company at https://goadmiral.com or phone them at 281-876-9400. They have a Spring, TX location at 20222 Stuebner Airline. How to correctly use your air conditioning system is a common question, and you’ve probably asked yourself if you are doing the right things. Is it better to leave your air conditioner on or off? You have probably wondered if you save energy when you shut your AC off. You’ve also probably wondered if it’s better to leave it running at one temperature, even while you’re away. If you’re wasting energy, you’re spending more money. You’re also burning up coal and fuels that affect climate. It would make sense to turn your AC off while you’re gone, right? Your house doesn’t need to be cold if no one is in it, right? What’s the actual truth? Experts in Spring, TX a/c repair suggest it saves you money when you turn your unit on and off. They say that air conditioners run best at full speed. It also dehumidifies your house better. When it’s running all day, it doesn’t go at full speed. Some air conditioning experts even say that you save five percent less energy for every degree you raise your thermostat. The Houston Admiral team has a motto of “We spoil you with service.” You can visit them at https://goadmiral.com to find out more about the AC maintenance in Spring TX they offer. While you visit, read their reviews. Their technicians are certified and insured. You can ask them questions about other AC myths that you’ve heard. Call them at 281-876-9400 today. They can also give you quotes and offer second opinions. Not even air conditioner maintenance in Spring TX could stop a machine from making all noise. As an air conditioner owner, it’s good to know that some sounds mean trouble. Like a lot of machines, you’re going to hear something. If you listen closely, your machine is going to talk to you. It’s probably going to tell you that there’s something wrong before you even realize it. If you have an older AC that hasn’t had repairs in a while, there could be noises. With older machines, there could be a belt. If the belt isn’t aligned right, then it slips and could squeal. Your belt could also be worn. If you hear a buzzing sound when you turn on your thermostat, your fan could be broken. You can turn the switch to off and turn it back on again. If this doesn’t help, maintenance is needed. Another noise you can hear could come from the compressor. It’s a good idea to get your machine looked at if you hear grinding. Your motor could overheat and shut your system down. No matter the sound your machine makes, Houston Admiral helps with air conditioning your home. Phone us at 281-706-8691 to schedule an appointment. Their website, https://goadmiral.com, has a lot of good information. You can visit their location at 20222 Stuebner Airline. They offer many residential and commercial services. By contacting them, you can get a quote for their AC maintenance Spring TX services. The International and Great Northern Railroad was built through Spring, Texas. America, the Goodyear airship, was visible off of Interstate 45 and based in Spring. As of 2010, the population of Spring, Texas was 54,298.